As THE IRANIAN AMERICANS shows, the Iranians’ story begins more than two millennia ago in the Middle East, in a land that came to be called Persia. They built an empire that stretched from North Africa to India, from the Caspian to the Red Sea. A people of diverse ethnicities and faiths, they developed rich traditions that endured centuries of migrations and conquests. In the second half of the 20th century, the nation, now known as Iran, was racked by political and religious upheaval, leading ultimately to revolution. 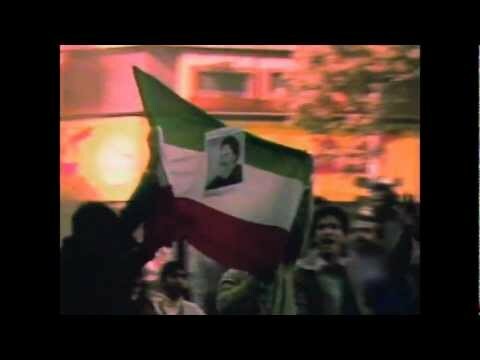 In 1979, the revolution thrust Ayatollah Khomeini into power, beginning an era when dissent was not tolerated. Tens of thousands of Iranians left their homeland for the United States, a country they would come to call home. Iranians had been immigrating to America in small numbers for decades, primarily for education, but 1979 saw massive migration. THE IRANIAN AMERICANS is an emotional account of displacement told by more than 25 Iranians who were uprooted from their home and heritage and built completely new lives in the U.S.
Iranian Americans, also called Persian Americans, who are featured in the documentary come from diverse backgrounds. They are educators, politicians, diplomats, scientists, comedians, bankers and writers, to name a few. Maz Jobrani –Actor/comedian, who is also part of the “Axis of Evil” comedy group. Jamshid “Jimmy” Delshad –Politician from California who became mayor of Beverly Hills on March 21, 2007, and again on March 16, 2010. As mayor, he was the highest-ranking elected Iranian-American official. Firouz Naderi — Director of solar system exploration at NASA’s Jet Propulsion Laboratory (JPL), he managed the Mars exploration program at the time of the landing of heralded twin Mars rovers Spirit and Opportunity. 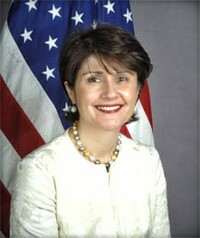 Goli Ameri –The former U.S. Assistant Secretary of State for Educational and Cultural Affairs and a former delegate to the United Nations. Currently, she is Under Secretary General for Humanitarian Values and Diplomacy for the International Federation of Red Cross and Red Crescent Societies. Hamid Biglari –A vice-chairman of Citicorp, the main operating arm of Citigroup, a $60 billion revenue business with operations in more than 100 countries. Goldberg, the film’s director and executive producer, is the founder and owner of Two Cats Productions in New York, NY. For nearly 15 years, he has produced and directed news and documentaries for such networks as PBS, ABC and CBS, along with numerous networks internationally. 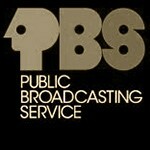 THE IRANIAN AMERICANS was written by Goldberg and producer Sara Goldblatt, narrated by CBS Sunday Morning senior correspondent Martha Teichner and edited by Jane Wagner. The director of photography is Claudia Raschke-Robinson. Major funding for THE IRANIAN AMERICANS is provided by Bahman and Hamila Atefi, Joseph and Mahnaz Moinian; Y&S Nazarian Foundation; Bita Daryabari; Hamid Moghadam and Christina M. Gwatkin; Pivotal Foundation/F. Francis Najafi; Nasser J. Kazeminy; Farhang Foundation; Shahbazi Family.